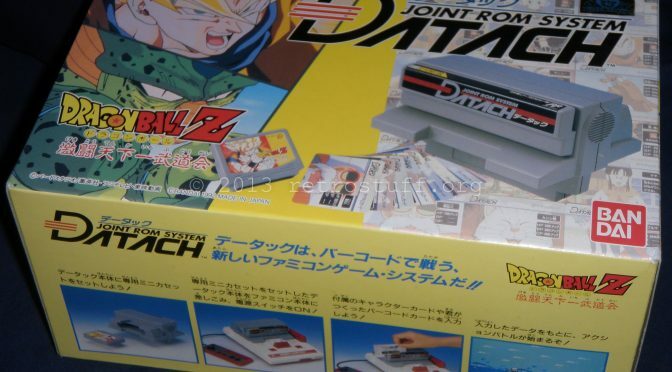 The Bandai Datach Joint ROM System is an add-on for the Nintendo Famicom. 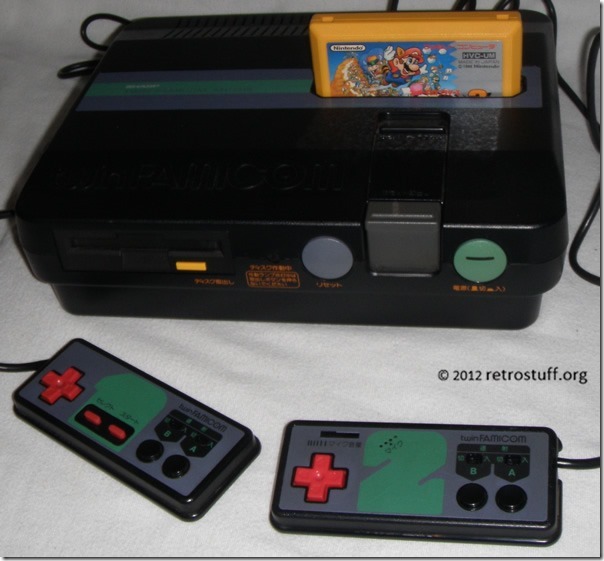 It plugs right into the cartridge slot and comes with its own small cartridges. The games are enhanced with barcode cards, similar to the Mattel HyperScan. The retail package with one include game, Dragon Ball Z: Gekitō Tenkaichi Budokai, is rather easy and cheap to obtain. 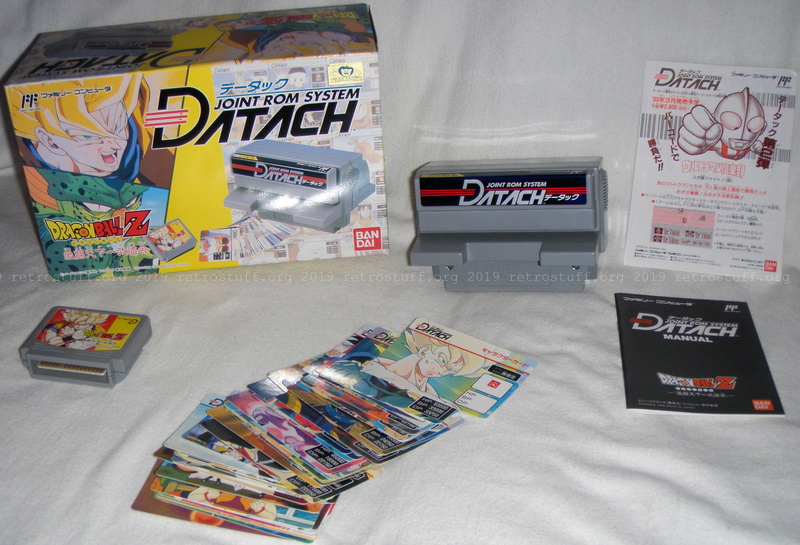 Additional games are very rare and even rarer and pricier when the corresponding barcode cards are included. I’ve seen some bootlegs of those games on regular Famicom carts but never tried them so far.